2. Is fear holding you back? Many times, fear is keeping us from moving to the next step. We know where we want to go–we can feel it in our bones–but when we picture actually doing it, we clam up and hold back and stay in that place of wishing instead of stepping out. 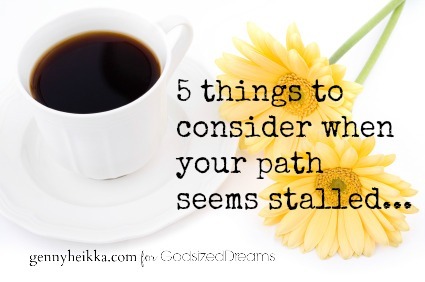 Long before I started actively speaking to women,… READ MORE OVER at GodSizedDreams.com today!